Buying your first home is an exciting endeavor that can bring peace of mind to you and your family for many years to come. While the process of house-hunting is fun and rewarding, it’s important to keep in mind that it’s also an emotional process that can sometimes be overwhelming. We have compiled a list of seven tips on how to buy a house that can help make the process easier. decorate each room and picturing your kids playing in the perfect backyard, but sometimes it’s easy to forget about all the costs that go into buying your first home. 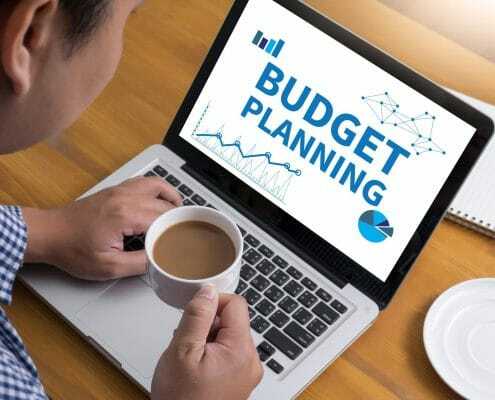 Sit down with your budget and make a plan. Typically, you don’t want your mortgage payment to be more than 25% of your take-home pay. Do you have 3-5 months of mortgage payments in your savings account today? If not, think about taking the next few months to a year, and set aside some extra savings. There are often home emergencies that pop up in the first year of owning a home as well, which makes having a decent savings account even more important. Your credit score will have an impact on your monthly payments and often dictate how much you need to pay for a down payment. Credit scores are based on history of payments, and the amount of overall debt you have. For a free overview of your credit score with one of our lending specialists, sign up here. They will walk you through where you are at and find the best loan option for you. 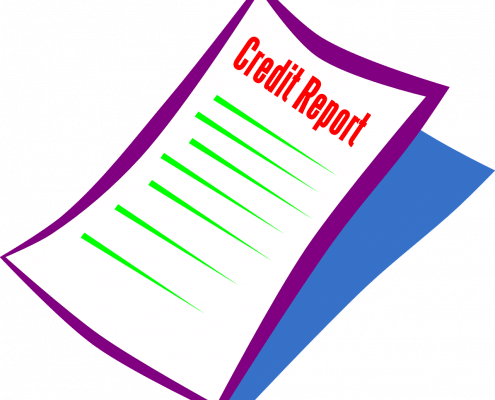 If your credit scores fall below 660, then you will most likely have to put forward more money on your home up front or choose a loan option with a higher monthly payment. A score that ranges from 700-720 will offer some wiggle room and easy payments. If you have a 750 or higher, you will be in a position to find the best rates and options. 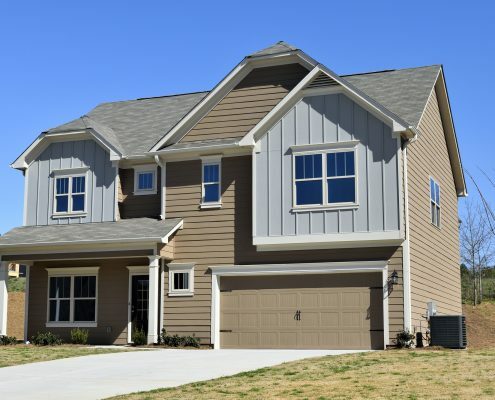 It’s important not to open any additional lines of credit or make any big purchases that require monthly payments until after the purchase of your first home has gone through. It may surprise you, but the process of buying a home starts well before you start looking at homes. In order to get the ball rolling on purchasing a home, you will need to obtain a pre-approval letter from either a loan officer or a bank. It’s really important to keep in mind you’ll often get approved for a loan that you truly cannot afford. Lenders don’t consider taxes, electric, bills, or any other expenses. In fact, for this stage, we highly recommend contacting our lending affiliates so you can make the wisest choice for your budget. A Homes for Heroes Lending Specialist will work with you to find a loan that best fits your financial situation. They work with a variety of loans from FHA to VA loans and also provide heroes genuine saving on closing costs. If you haven’t signed up yet, you can do so here. Your agent will be your biggest asset and loudest cheerleader through the entire process, so take the time to find someone you like and who has your best interests in mind. Look for an agent who has at least two years of buyer experience and isn’t afraid to answer all of your questions. Your agent should also be an expert to the area you live in, so make sure your agent will always go to bat for your interests and have the time to walk you through the process of home buying so that you’re confident through each step. Don’t be afraid to meet with more than one agent until you find someone that makes you feel comfortable and ready to tackle the long process of buying your home. 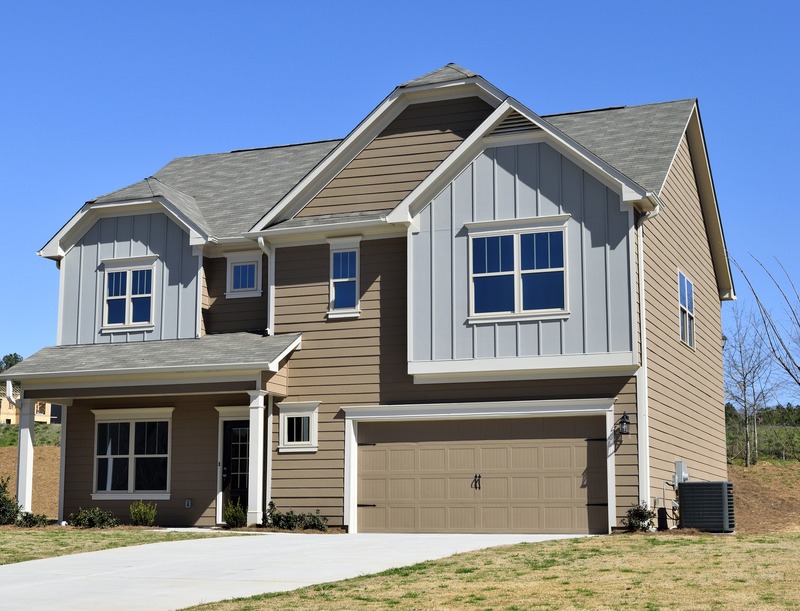 Homes for Heroes will connect you to a local Real Estate Specialists in your area. These Specialists are licensed professionals with a minimum of two-years of real estate experience. 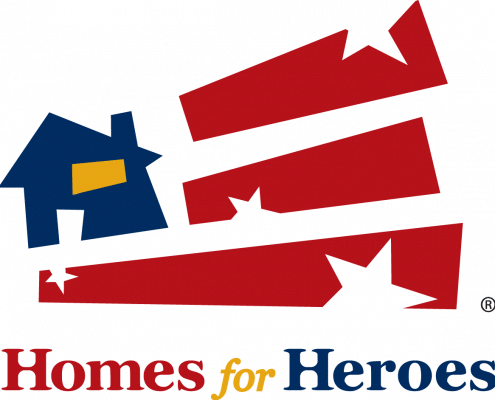 Heroes also receive a check in the amount of 0.7% of the home purchase price after closing when buying a home with a Homes for Heroes Real Estate Specialist. Now that you’ve found an agent and settled on a budget, you can start looking at homes! Have your dream list handy, but house hunt with an open mind. While you may not love the paint color of the kitchen or the dated wallpaper in the bathroom, be willing to look past the cosmetic details and remember that you can always paint and remodel to your liking. Is it near the schools your children attend? How long will your commute be to work? Do you like the layout of the house? These are things you cannot change once you move in, so make sure that you are satisfied with them before putting in an offer. Your offer should include contingencies for the home inspection and appraisal. Depending on the market, the costs of the inspection can sometimes be negotiated so that the seller pays the fee. If you enter into a bidding war, don’t panic! Your real estate agent can often renegotiate terms that make both parties eager to agree on the offer. Once your offer is accepted, it’s time to hire a professional to do an appraisal on the home. The appraisal ensures that that bank is paying for what the home is worth at that time. Your loan officer or bank will not loan you money for more than the appraised amount. Be sure to talk with your real estate agent for the best way to handle any price discrepancy that your home appraiser finds. A home inspection is something you don’t want to skip. Most loans require that the home is inspected by a professional. An inspector will be able to tell you about the history of your house and ensure that everything is up to code. They will also be able to tell you if any structural repairs need to be addressed by the seller. Don’t forget we offer a lot of discounts on these services for our heroes, head on over to the local deals page to take a look. The day has finally arrived! The long process of finding the home and negotiating the fine print has paid off, and you’re ready to close on your home. You will receive a copy of the final documents and go over any questions you might have with your real estate agent. Get ready to sign lots of dotted lines and pour over all the fine print before finally being handed the keys to your new home. Once you’ve signed the papers, take a moment and congratulate yourself on making it through the long, and the often daunting process of purchasing your first home!